A successful NE Expo for Narec Distributed Energy! Narec Distributed Energy have had a successful NE Expo this year as their fabulous ‘Desk Gardens’ went down a storm! 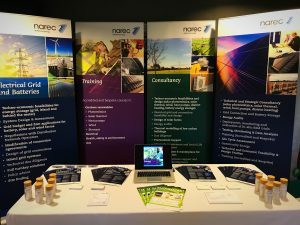 Narec Distributed Energy (NDE), a Blyth based organisation that carries out a wide range of work within the renewable and low carbon sectors brought a new, 100% renewable marketing tool to the NE Expo on Wednesday 2nd May! People visiting the exhibition were intrigued by the little logo’d aluminium pots on the Narec DE stand and played a guessing game as to what they actually contained. Guesses from visitors were amusing and brought about some interesting conversations at the stand. 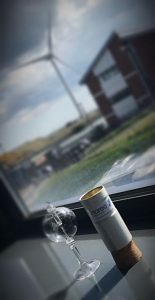 The 100% renewable pots were in fact little ‘desk gardens’ containing soil and mint seeds which, over the period of 21-28 days will grow and bring happiness as well as mint for tea for people working at their desks (either at home or at work). Most people at the NE Expo took away their little desk garden with a skip and a smile on their face along with the promise to upload their very own photos when the seeds start to grow. We were over the moon that the little desk gardens were a success! They fitted in nicely with our ethos of renewables and gave a great talking point for all the visitors to the Expo. NDE are now looking forward to exhibiting at the Federation of Master Builders on 29th June.